Newegg is selling Amazon's Echo Dot for $40 with a bundled $10 gift card. Amazon announced Alexa Blueprints this week, a new skill that lets you create custom responses and commands for your smart speaker. But you need an Echo to try them out. 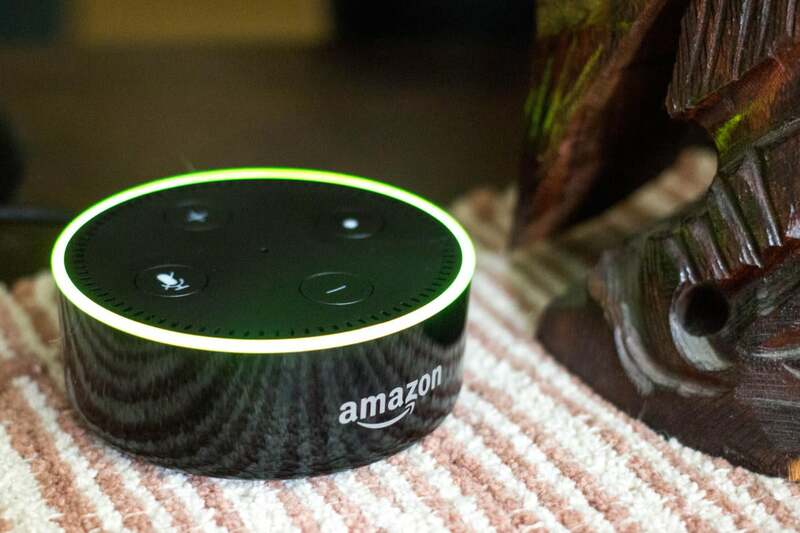 At $50, the Echo Dot is already the cheapest Alexa speaker you can buy, and right now it’s even cheaper: Newegg is selling the Echo Dot for $39.99 and they're even throwing in promotional $10 gift card. We gave the Echo Dot 4 stars out of 5 in our review, noting that it’s the Echo speaker most people should buy. That’s largely a function of its price—as mentioned, this speaker is much cheaper than other Amazon offerings even when it’s not on sale, and this additional discount makes it even more affordable. But it doesn't lack in functionality either. Even without a screen or high-quality speaker, the Dot is a full-fledged Alexa speaker that can handle everything you throw at it, including music, alarms, smart devices, and games. So while its its sound quality and microphone sensitivity isn't as good as the more-expensive Echoes, you’re getting a lot of smarts for a low price. And with Bluetooth support, you can always hook up a speaker to it for better sound output. We named the Echo Dot the Best smart speaker if you use another speaker for music, and be sure to check out the rest of our roundup of the best smart speakers of 2018.